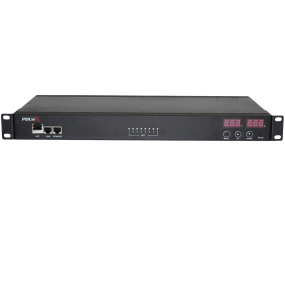 N1 type PDUs monitor the total current delivered by the PDU. 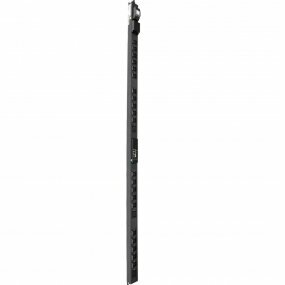 KWX-N series is our remote monitored PDU that supports multitask and multiuser access. 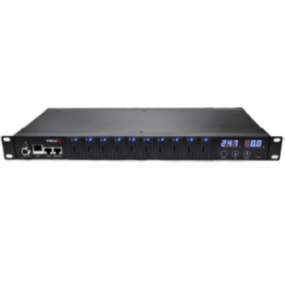 The software supports various TCP/IP protocols, Including: HTTP, HTTPS, SSL, SNMP, TELNET, SSH, SMTP etc., to monitor the voltage, total current, the rack environment. The KWX-N2 & KWX-N4 also monitors each port current and switch on/off per port. 8 Lockable C13 outlets, Total PDU current monitoring.